The talking about the low-cost airlines, about their possible entering and solutions that can speed it up do not cease in Ukraine. But against this background one important detail is overlooked. The low-cost airlines have already been flying to Ukraine for several years, and some of them did not leave the market and have no intentions to do that. One of them is the Turkish budget carrier – Pegasus Airlines. The company is present on the Ukrainian market since October 2010. From that time Pegasus Airlines have transported on flights to/from Ukraine about 800 thousand passengers. The carrier was specializing in regional airports for a long time: Kharkiv, Donetsk (until May 2014), Lviv, Zaporizhia. 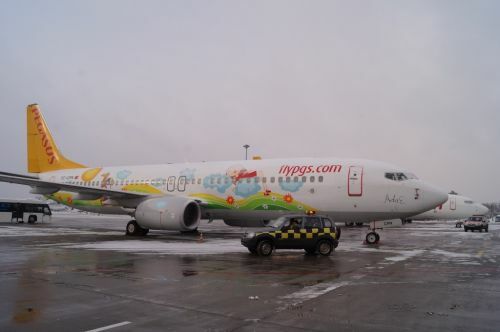 In last December Pegasus Airlines have started flights to the capital's Zhuliany airport. We talked with Serkan Atli, assistant sales manager of Pegasus Airlines on the carrier's activity in Ukraine, on the opening of new directions and the future prospects. 2014 was a very difficult year in Ukraine, especially for aviation. Some airlines left our country. But Pegasus stayed. Why? We do everything to continue our flights once we have started them. 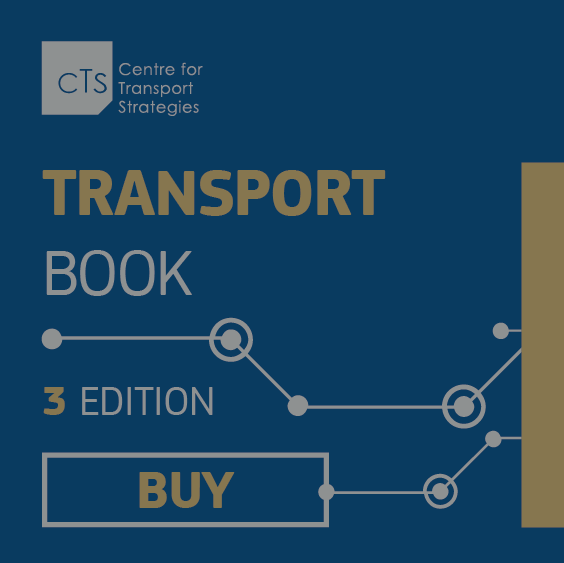 If we experience any difficulties on any routes we take a proactive approach with sales campaigns and discounts, we negotiate with travel agencies and so on. We cancel only when we see that these solutions don't work. In our 26-year history of Pegasus Airlines we've only cancelled two or three destinations. This is a crucial strategy for us in terms of investing and maintaining a good reputation. Once you leave a destination it’s very difficult to regain trust again and if you do decide to restore flights after a while, it’s difficult to re-attract the passengers. In our 26-year history of Pegasus Airlines we've only cancelled two or three destinations. Why did you start flights to Zhuliany airport instead of Boryspil? Currently Boryspil is not possible for us. In 2011 we had plans to fly to Boryspil but we didn't then start those flights mainly due to not having received the flight permissions which was the case also on this occasion. Zhuliany airport is very good for us. It is closer to the city centre and it has good connections with the city. We think that it is a very smart and customer-friendly, easy-to-navigate airport. That's why we've chosen Zhuliany. What about the flights from Zhuliany to Istanbul? The route from Ankara to Kiev is just a start. Currently, we have good connections from Ankara to Izmir and Istanbul. Sometimes our competitors who operate direct flights to Istanbul have more expensive prices than we have with connecting flights via Ankara. So the passengers can fly to Istanbul via Ankara. Of course, we also hope to fly to Kiev from Istanbul directly but we can't do so at this time this due to permission restrictions. However, we hope that we will start flights from Kiev to Istanbul in the near future. What competitors do you talk about? Turkish Airlines and Ukraine International Airlines. We are the route’s low-cost airline so our prices are mostly cheaper than they have. We consider that price is very important for the customer. That's why the price is our main advantage. What is the passenger load factor of your flights to Ukraine? The average load factor is more than 70 percent. The flights to Zaporizhia have a lower load factor – but still more than 50%. Are you satisfied with such load factor? We are satisfied with the current load factor to Ukraine in the current market conditions. Of course, we are working to grow this figure and want to develop the Ukrainian routes further. 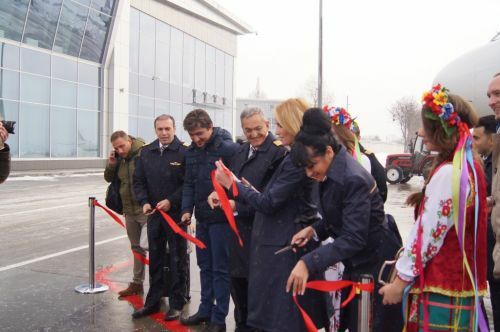 Do you plan to start flights to other Ukraine's regional airports, e.g. Odesa, Vinnytsia? Yes, we do. We are focusing now for Kherson and Vinnytsia airports. But there are some problems from the Turkish side, i.e. with slots at Sabikha Gokcen airport. We are focusing now for Kherson and Vinnytsia airports. Have you had negotiations with these airports? Not yet. We're just studying and checking all the possibilities at the moment. Yes, is in consideration. But currently we can't obtain the flight permissions. Pegasus Airlines has its own subsidiary in Kyrgyzstan with its own base. Are you regarding the possibility to establish the similar company in Ukraine? It's possible. But we have no such plans now. Ukraine has no direct connections to Central Asian states. 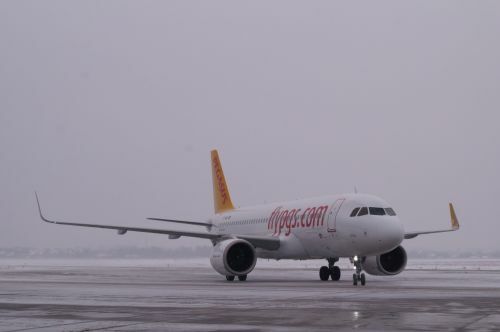 Pegasus Airlines fly to that region from Istanbul but flight connections are not comfortable for passenger. Do you plan to change this? It's not always uncomfortable. For example, if the guest wishes to fly to Bishkek, he can fly from Lviv and Kharkiv. Kharkiv flights operate on a mixed schedule (3 night flights and 4 day flights) while Lviv flights are the day ones. Day flights have availability for Asian connections. Now we are focusing on European connections also. All of our connections to Europe depart between 10 and 11 o'clock. So Ukrainians have good connection times to Europe via Istanbul with our night flights. If we change the time, you'll lose that chance. What are the prospects of Ukrainian market to Pegasus airlines? As I know, the Ukrainian economy is stabilising now. So we believe that Ukrainian flights will become ever more popular and busy. Our short-term goal is to make Kiev – Ankara flights daily flights. The long-term goal is to open more connections in Ukraine.